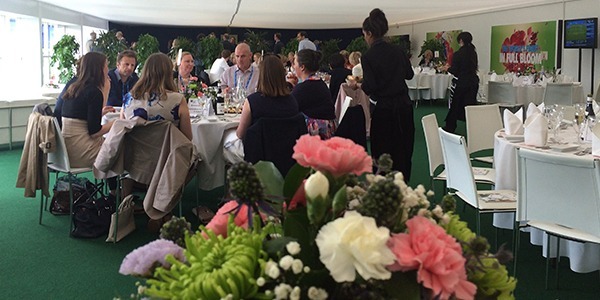 Eventmasters Catering Services have received excellent reviews and feedback from VIP guests in attendance including the LTA Chief Executive himself, Michael Downey, following the 2 opening days of this new grass court tennis tournament, introduced as part of the buildup to the Championships at Wimbledon. 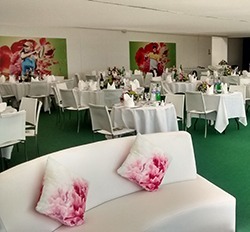 Hospitality guests in attendance have enjoyed a fantastic environment in which to entertain their important guests, combined with a high quality corporate hospitality package, as you would expect from any major tennis tournament. Following a Moet & Chandon and canape reception, a three course a la carte lunch is offered at your private table (Private tables are available regardless of the number of guests in your party). A deluxe afternoon tea and a full complimentary bar is also included along, of course, with the very best reserved VIP seating within Centre Court. “I wanted to say what a wonderful time I had today with my friends. I’ve been to Wimbledon and Roland Garros and booked hospitality, but I have to say I thoroughly enjoyed today. I thought the hospitality was spot on. The whole experience was effortless which is how I like it, oh and the tennis was pretty good too!!! A number of players as well as Judy Murray mingled with guests in a relaxed and conducive atmosphere. Please see below for the choice of menu and list of wines served on the day. 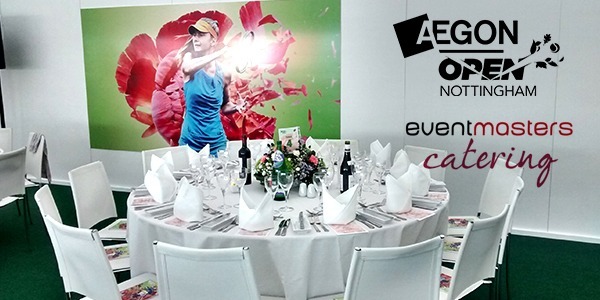 If you are interested in attending the Men’s ATP Aegon Open Nottingham and enjoying the superb hospitality experience, prices start from as little as £129 plus VAT per person. Major stars from the tennis world that have been confirmed as playing in this tournament include; recent French Open semi-finalist Jo-Wilfried Tsonga, David Ferrer, Feliciano Lopez and Britain’s own Davis Cup hero James Ward. Please contact Elliot Sheasby (esheasby@eventmasters.co.uk 0121 233 6500). 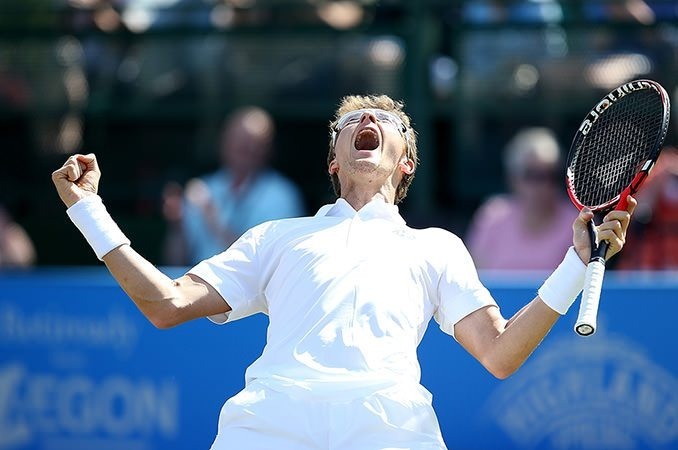 Men’s ATP Aegon Open Nottingham final, please comment on this post. A nose of fruitcake, spice and ripe, plummy fruit. Soft and rich on the palate, with blackcurrants, plum, and smoky cedarwood. This is an extremely soft wine which is a classic right bank style with velvet tannins. Packed with juicy strawberry, raspberry and cherry fruit flavours. A bright and youthful wine with a fresh finish and voilet tones. Excellent on its own or with some light canopies. Aromatic, steely Sauvignon just bursting with gooseberry fruit, cut grass and citrus. This is a fresh wine with elderflower characteristics and a lingering finish, perfect for a summers day.